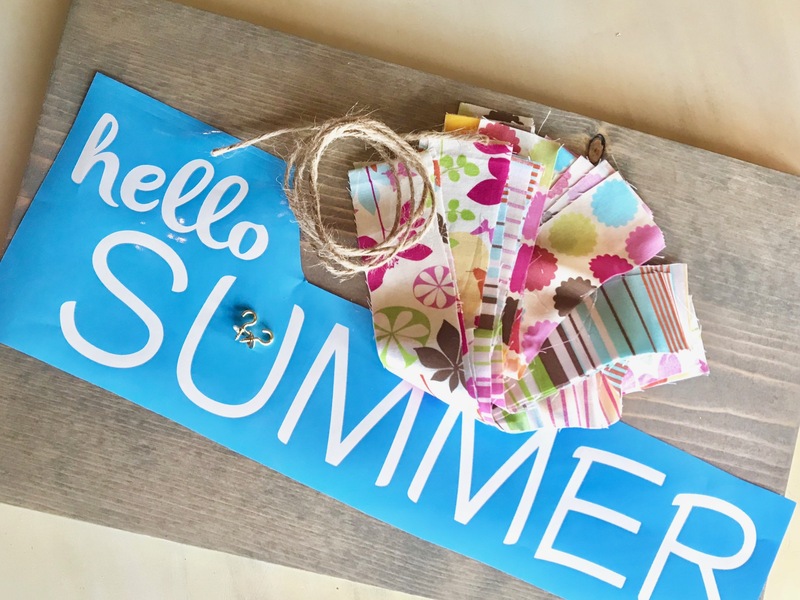 The changing of the seasons is always a fun time to spruce up your decor! 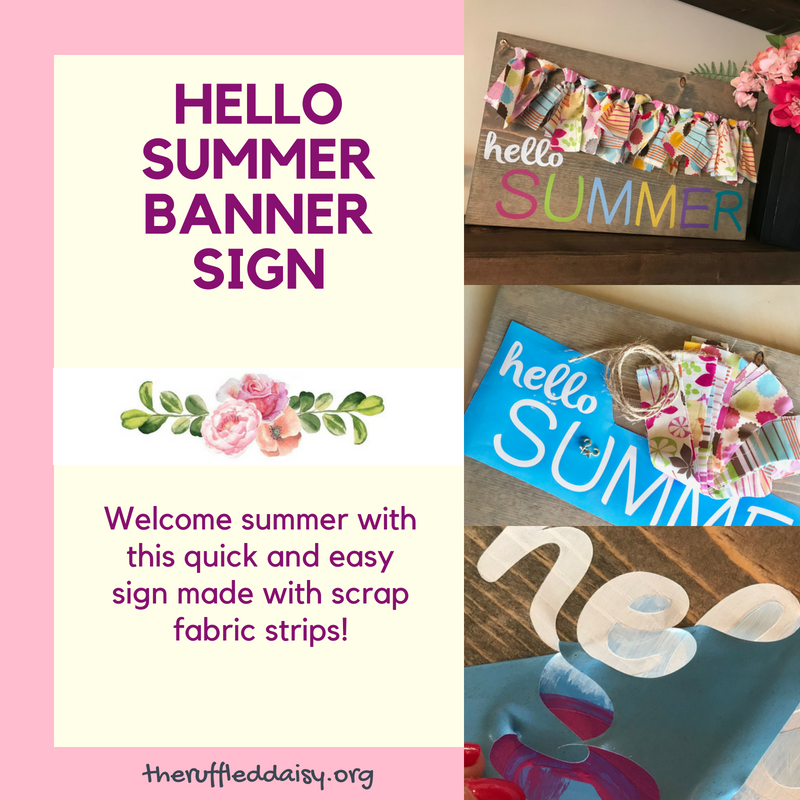 This Hello Summer Banner Sign is the perfect project for you to create this weekend and have it ready to display on your fireplace mantle of in your entryway. 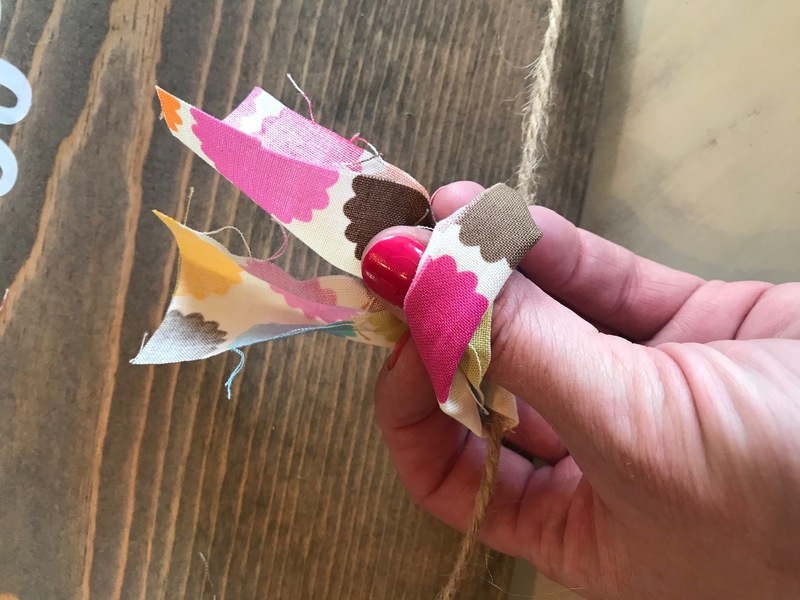 The fabric strips create a sense of whimsy that is make this project FUN to create. You only need a few supplies that you may have around the house! 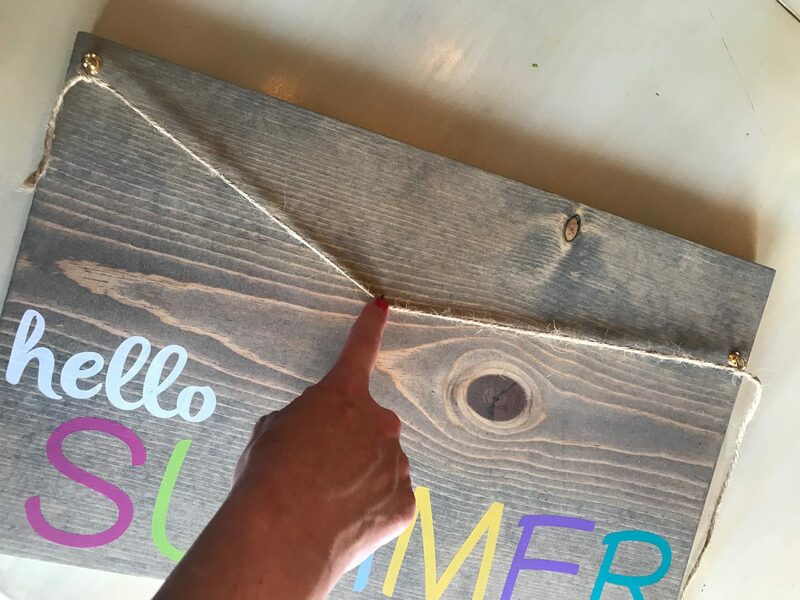 A wooden 1x12x18 pine board, two cup hooks, a “Hello Summer” stencil, multiple colors of paint, a piece of twine, and some scrap fabric. Using a dark or grayish colored paint, slightly water it down to make a “stain”. Wipe all over board and let dry completely. 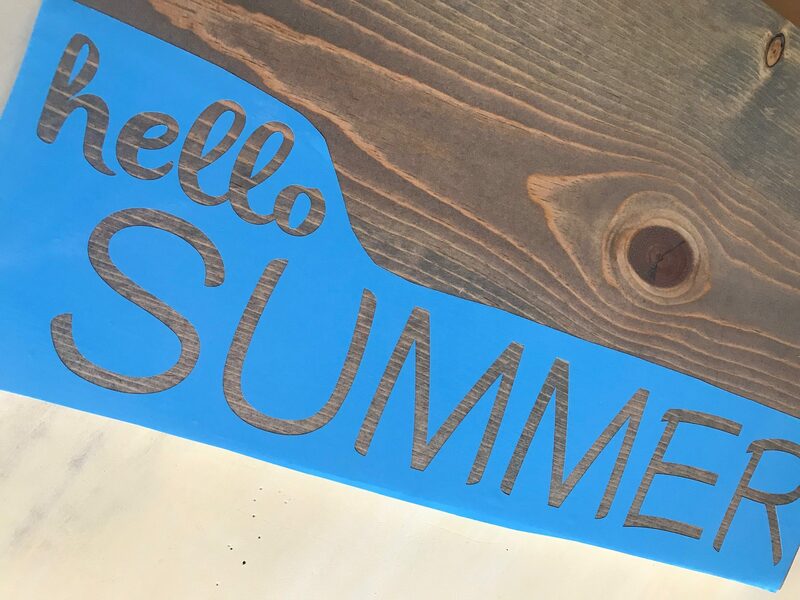 Apply stencil to the bottom portion of the board. 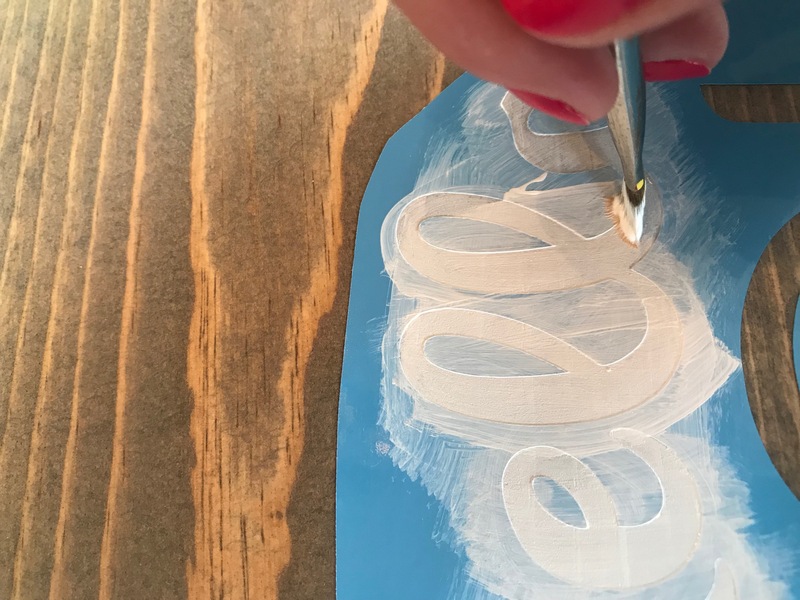 Using the paint, paint in the letters. 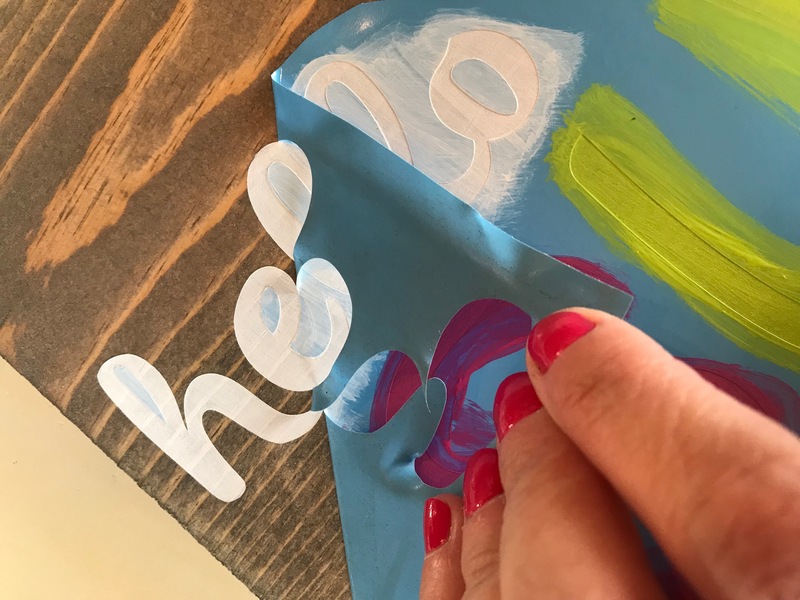 Remove the vinyl when paint is dry. 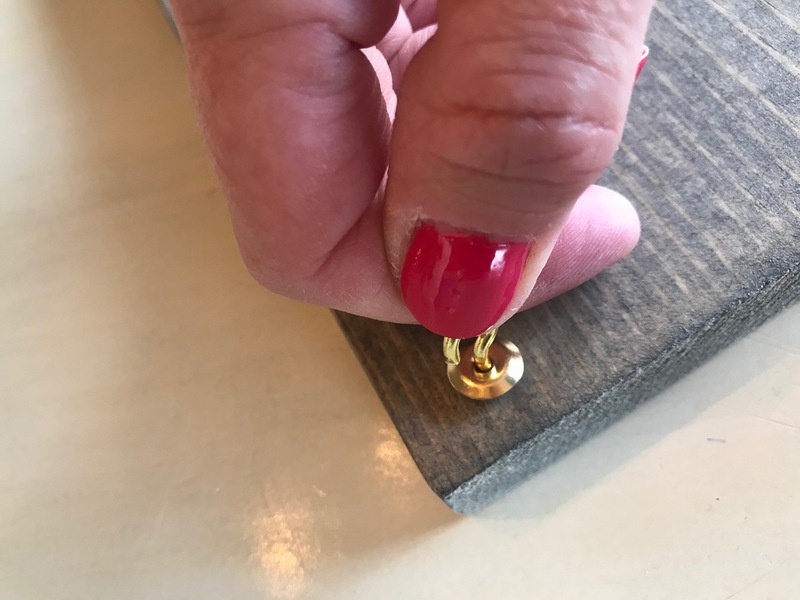 Using the cup hooks, attach one to the top left edge and the top right edge. Screw the right one about 1 1/2″ lower than the left one. Attach your twine. You want a little give in the line but not alot. 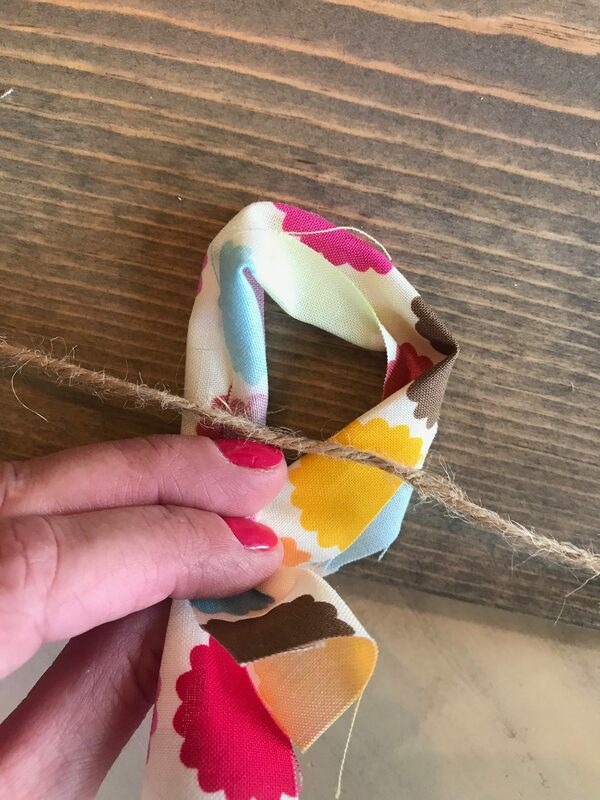 Fold your fabric strip in half and loop onto the twine as shown in the pic. 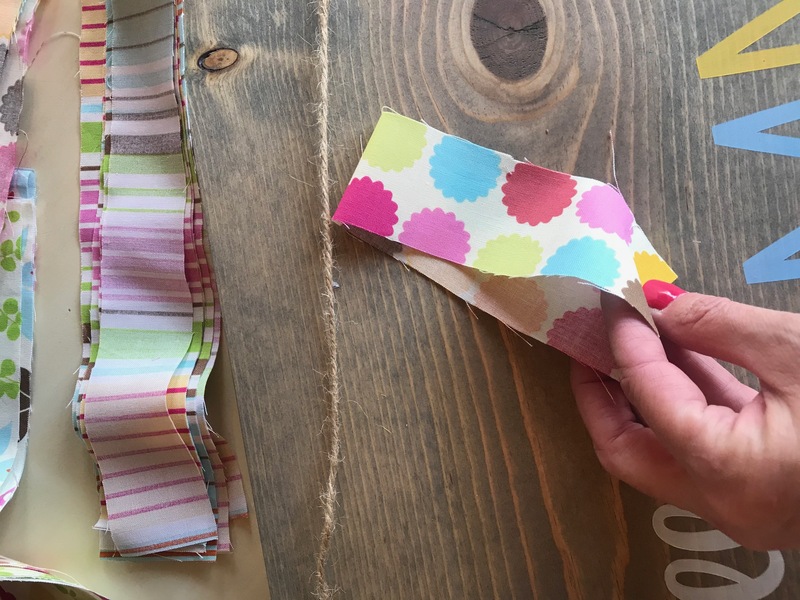 Trim the fabric strips to your desired length and display. You can hang this or set on a shelf. This would also make a perfect housewarming gift! These would be cute to create for every holiday! I offer monthly craft kits that are available for purchase where I provide everything you need to create a project like this of your own! 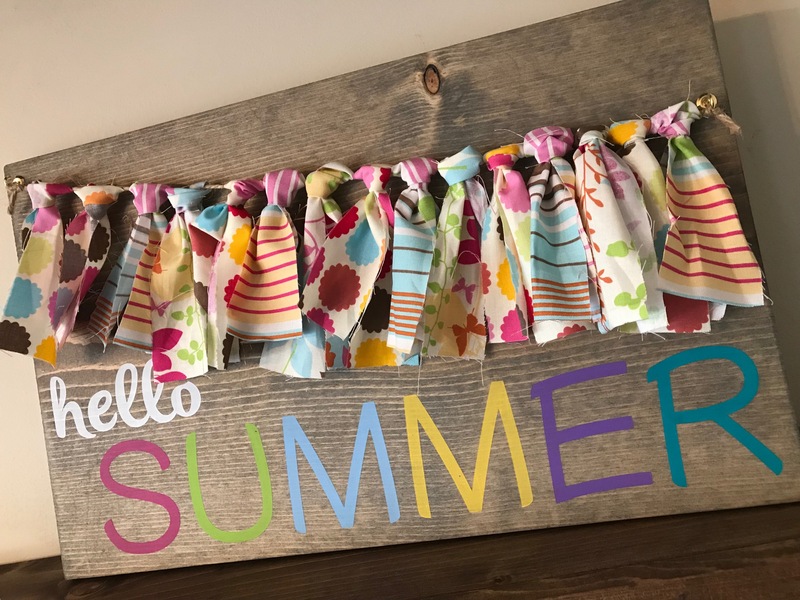 These projects change monthly and are always $25! You can check out all the details HERE! These are great for a night of crafting with your girlfriends or to do by yourself. What are some things you do to welcome the changing of seasons? This is just adorable! Thanks for joining! 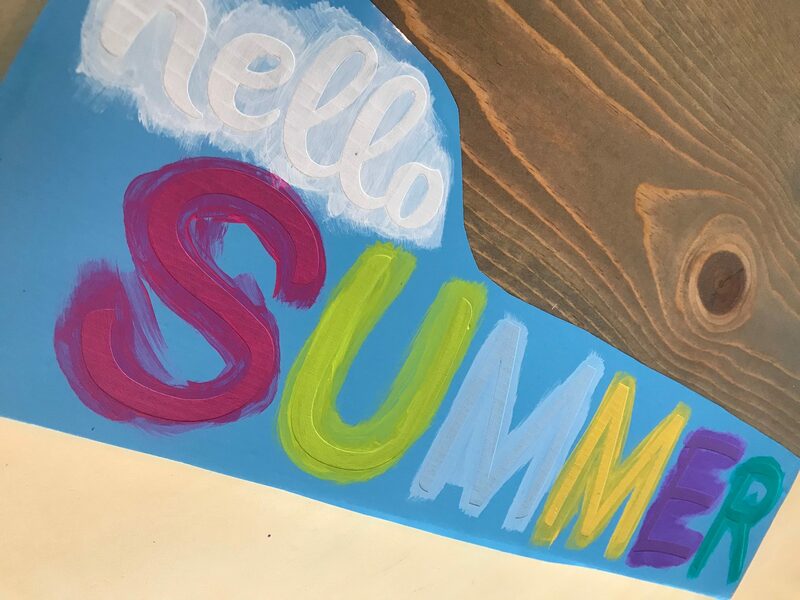 The perfect Summer sign! 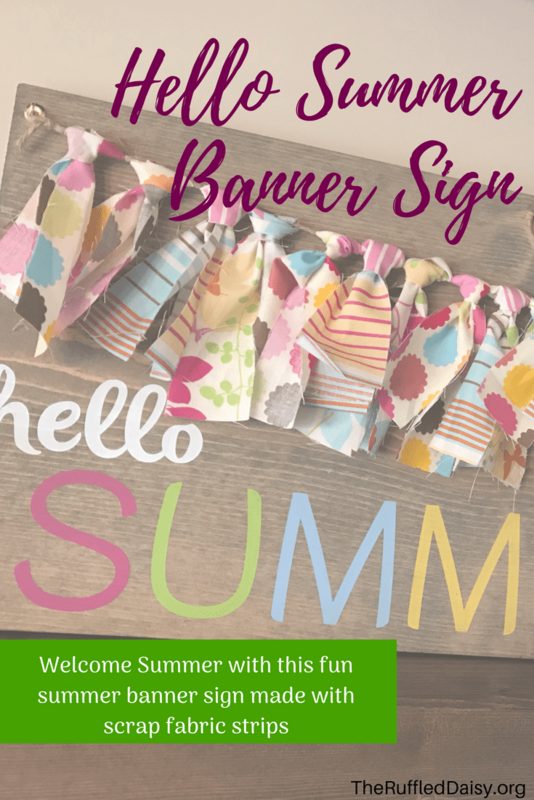 That fabric banner is so darn pretty! What an absolutely adorable sign! It is a perfect housewarming gift! I agree!! I have a lot of realtors that I create things for. This should be a MUST for them! What a lovely idea! Summer is my favorite season and I get so happy when I start to feel the weather turn. This is so cute!! I wish I was more into DIY projects haha I envy those who are good at them! This is so cute! I have been working on pallet painting too! I am going to pin this idea! Thanks! I love how easy it is to get cute stencils now. The possibilities are endless.